Coffee is an essential part of many small business kitchens. 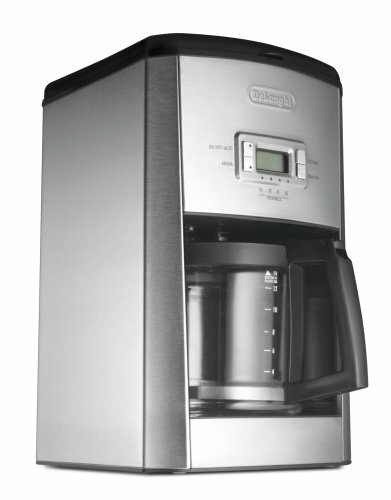 So in order to keep yourself and your team caffeinated and happy, a great coffee maker is a must. 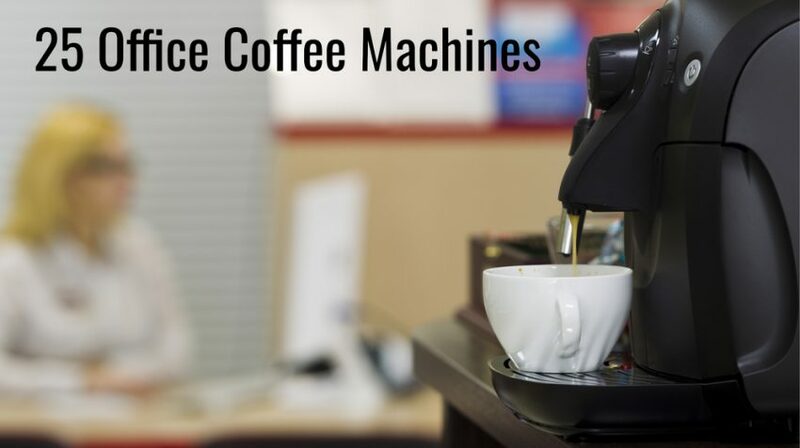 Here are 25 different options for your next small business office coffee maker. 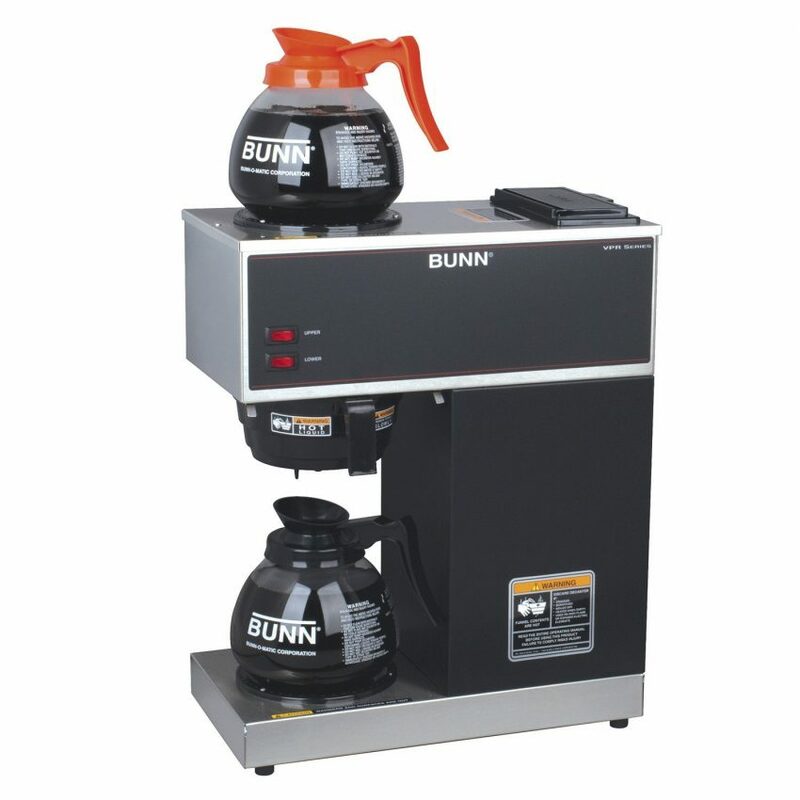 The classic business coffee maker, this Bunn model features multiple warmers and glass decanters for coffee-loving teams. It’s also a fairly durable option with prices ranging from about $250 to $350. 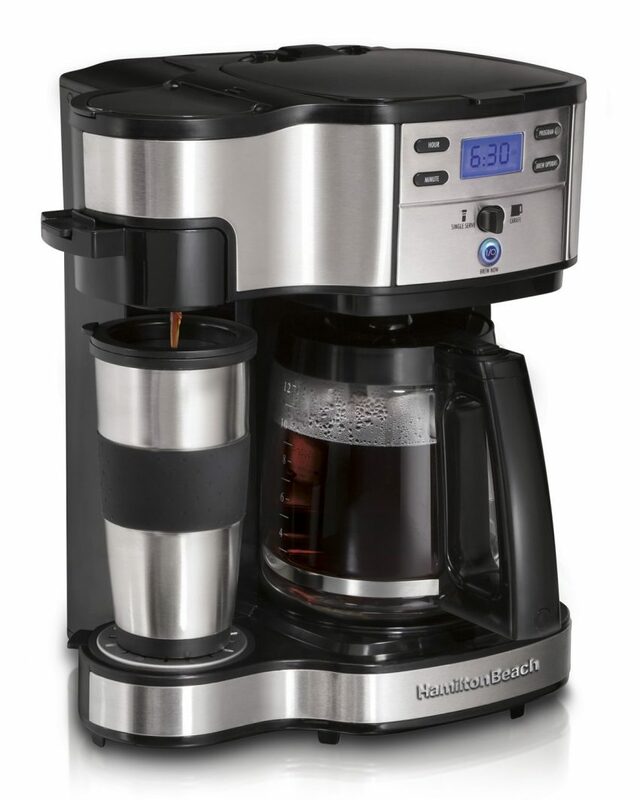 You can also brew a large amount of coffee in a large brew station like this one from Hamilton Beach, which will keep your brewed coffee fresh for long periods of time. Prices start at around $40. 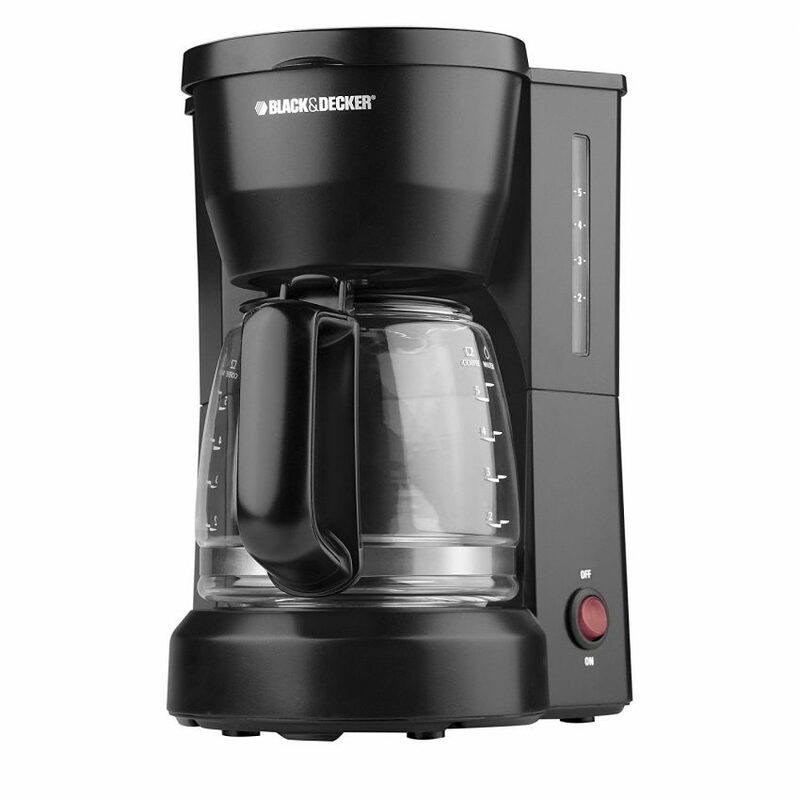 This basic coffee maker comes from a well known brand and is perfect for smaller teams that just need a basic, durable machine at an affordable price (around $15.99). 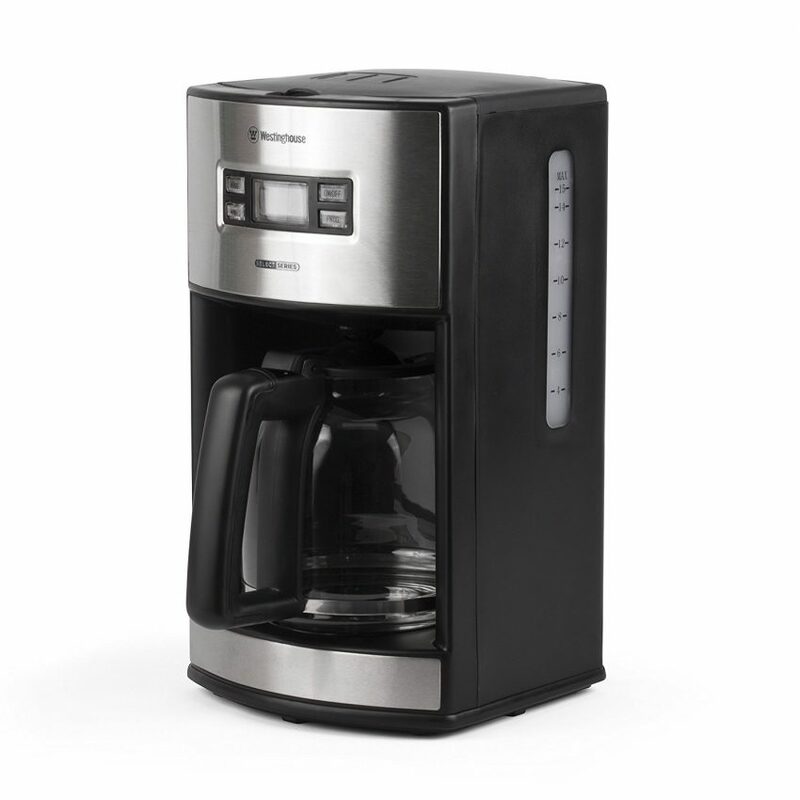 If you need a coffee maker that can handle a larger volume and has a few more advanced features, this Cuisinart model is programmable and made from stainless steel and glass. Plus it makes up to 14 cups at once. It’s also a bit more expensive at around $85. You don’t have to spend much to get a programmable coffee maker. 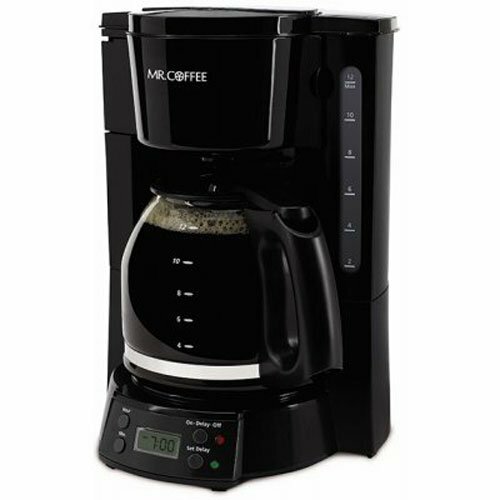 This Mr. Coffee model is very basic, but still lets you set brewing times and makes up to 12 cups for just $19.99. If you have few employees or people with different coffee preferences, a single serve coffee maker might be more in line with your needs. 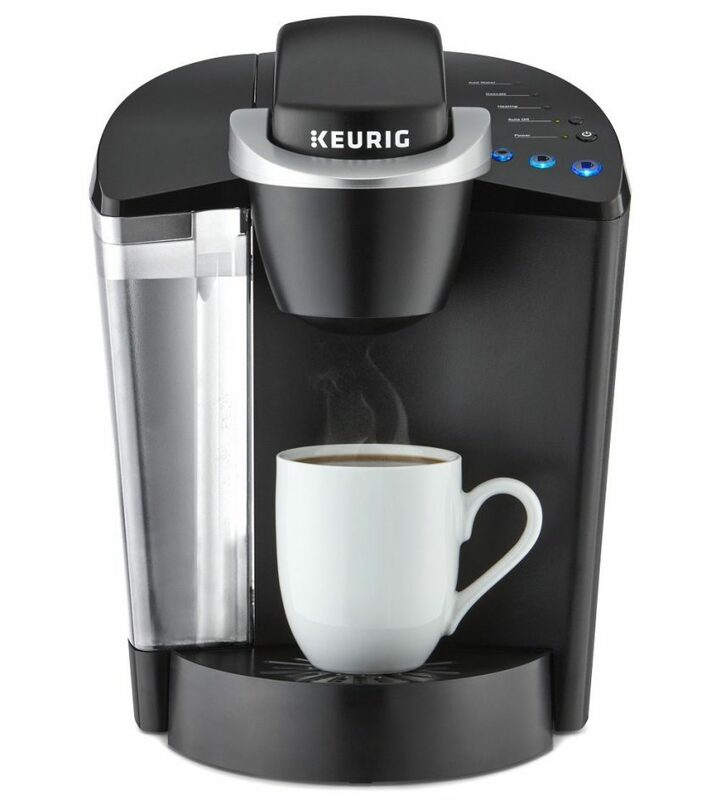 This Keurig device works with individual K-cups and costs about $90. 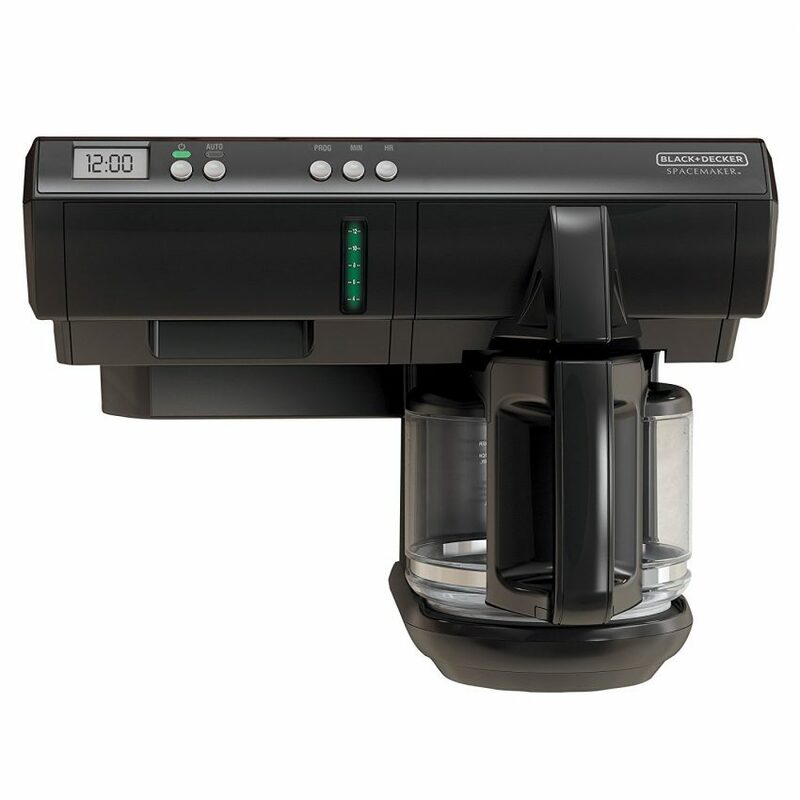 For those offices that could benefit from having both a full-pot and single serve coffee maker, this Hamilton Beach model provides both of those functions in one for $129.99. 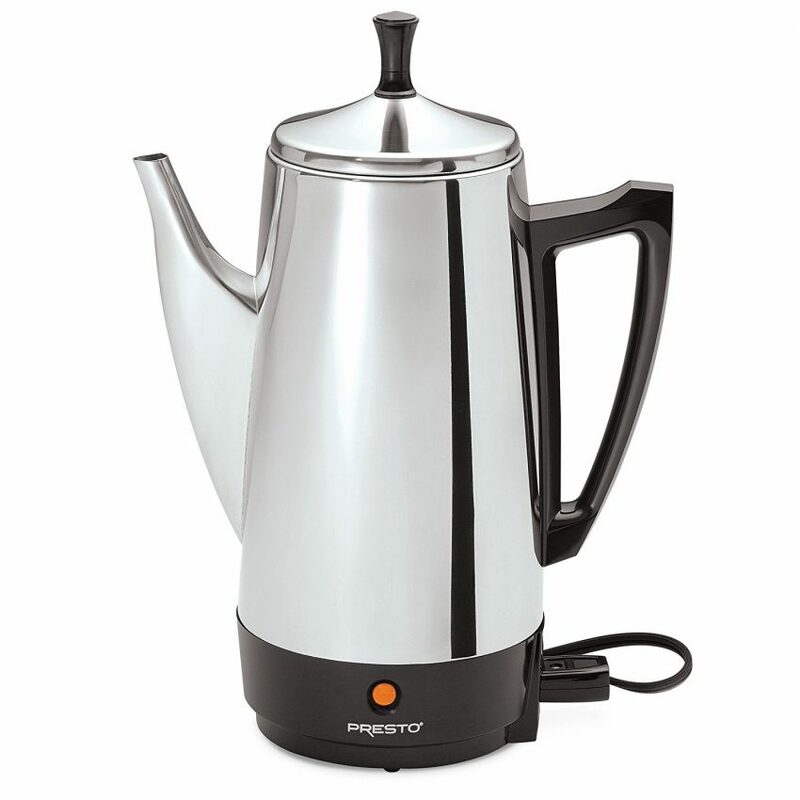 A more old school approach to coffee brewing, this Presto machine can brew 12 cups in about a minute and is fairly durable for regular office use. 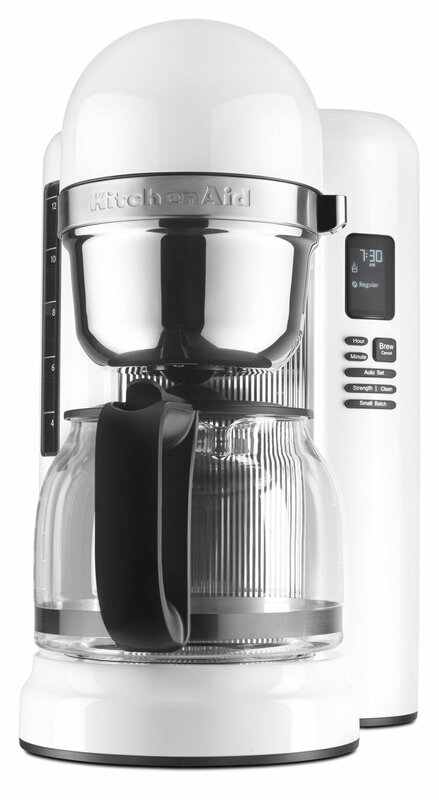 From KitchenAid, this coffee maker provides a modern look with convenient features like one-touch brewing. 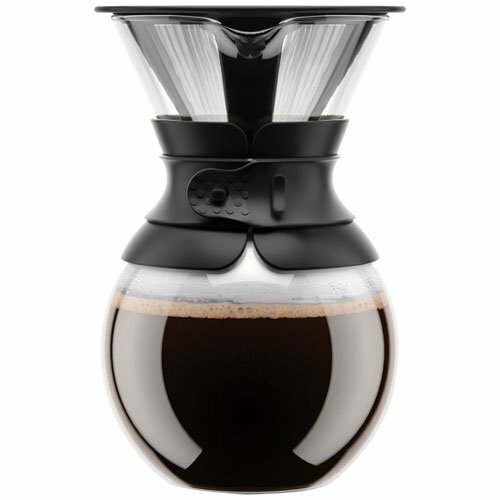 It makes 12-cups at once and retails for about $95. 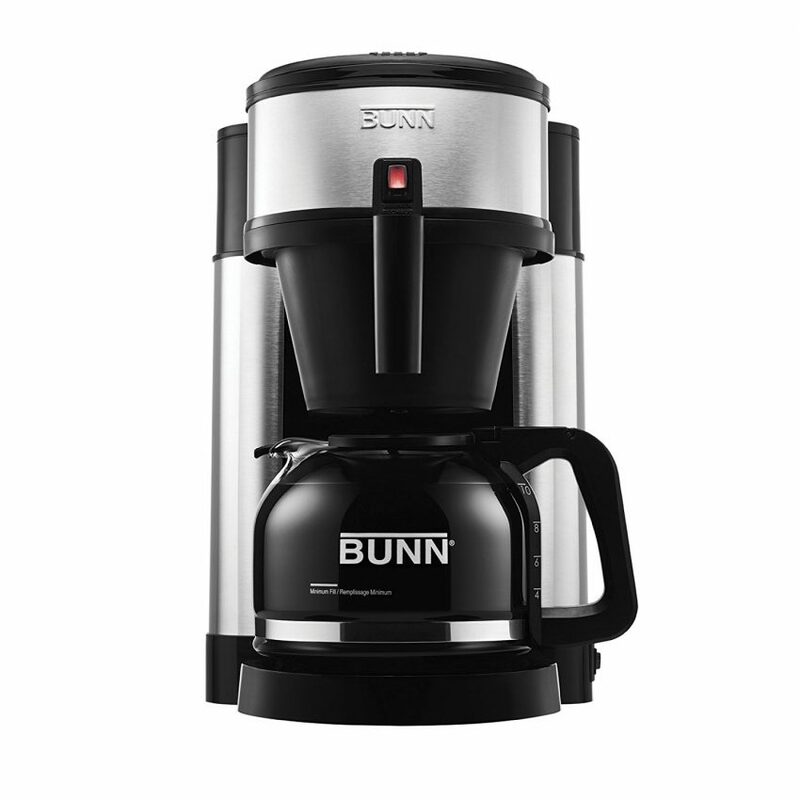 This Bunn coffee maker is known for its brewing speed, with the ability to make a full pot of coffee in under three minutes. It also has a hot water system that makes on-demand brewing easy, perfect for small teams that make coffee constantly throughout the day. It retails for about $89. 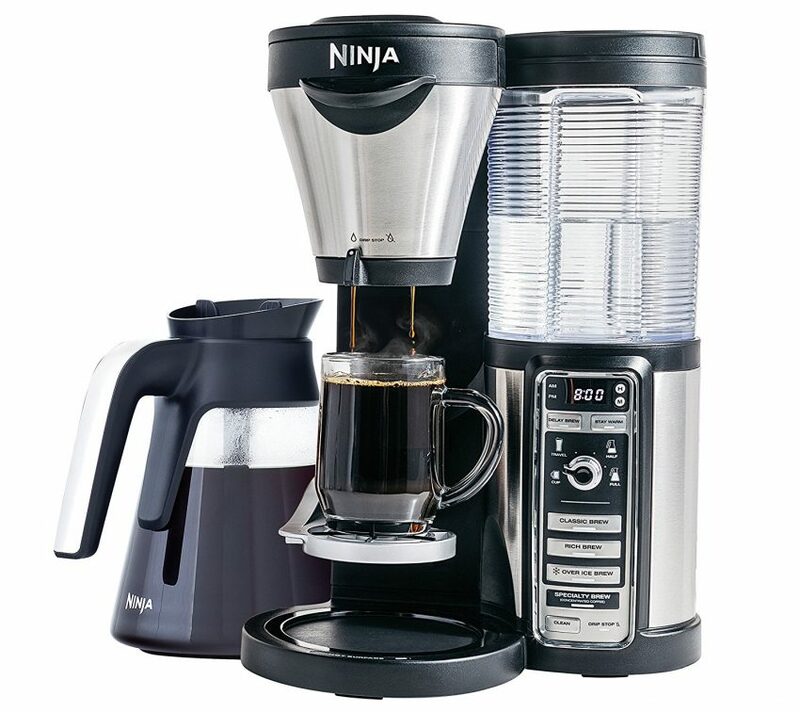 To give your small business team several different coffee options, you could go with a machine like this Ninja Coffee Bar Brewer. 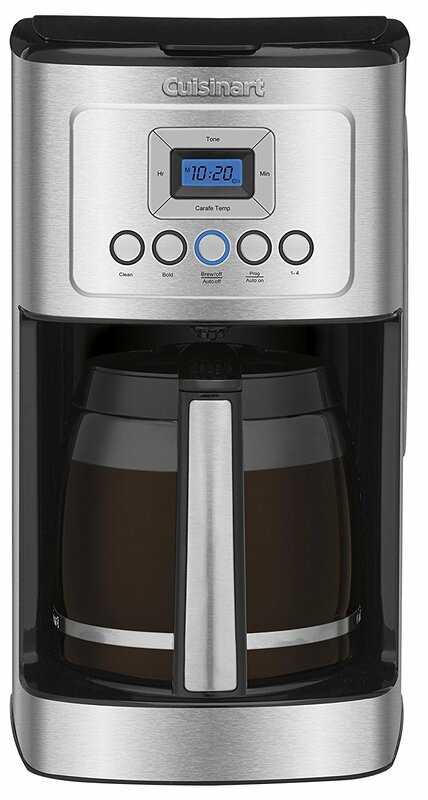 It has a full carafe, single-serve feature and the ability to make other types of coffee drinks. 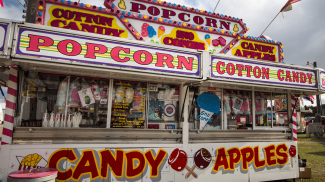 The machine starts around $150. 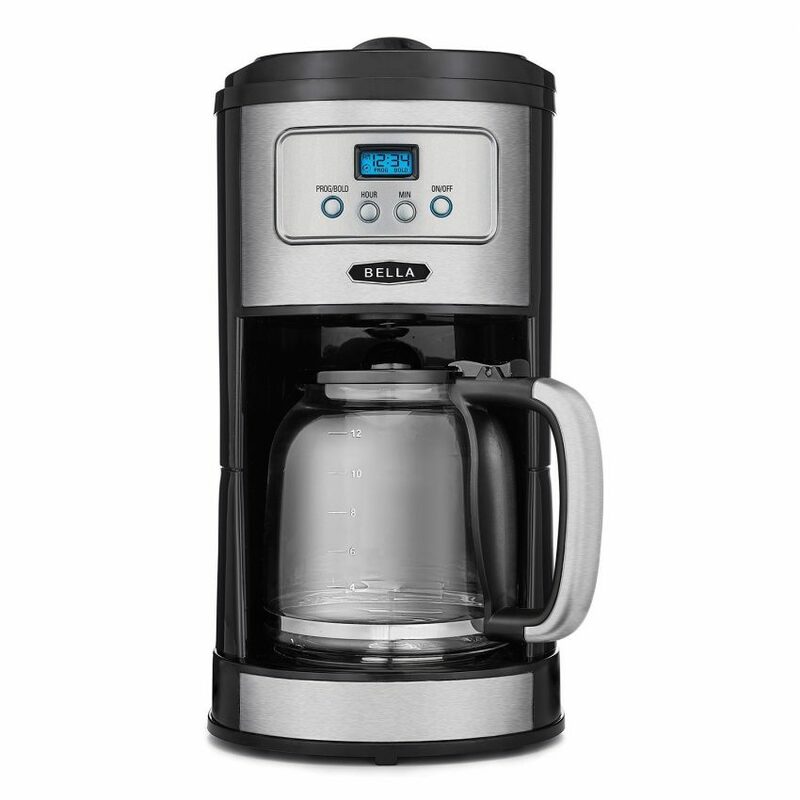 A fairly classic design, this Bella coffee maker is made with chrome and stainless steel, so it’s fairly durable for an office setting. And with a price ranging from $30 to $40, it’s a fairly solid and affordable option for small offices. 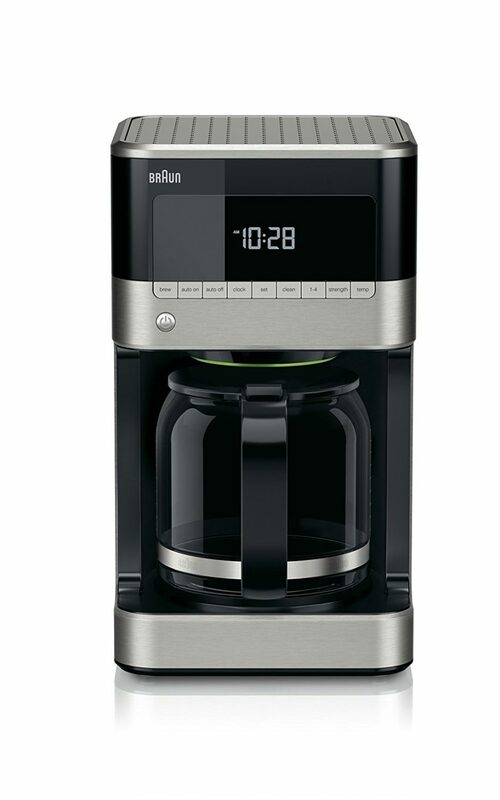 If you’re a fan of drip coffee, this Braun coffee maker can be a great option at just under $100. The programmable device offers different settings for coffee strength and other advanced features. 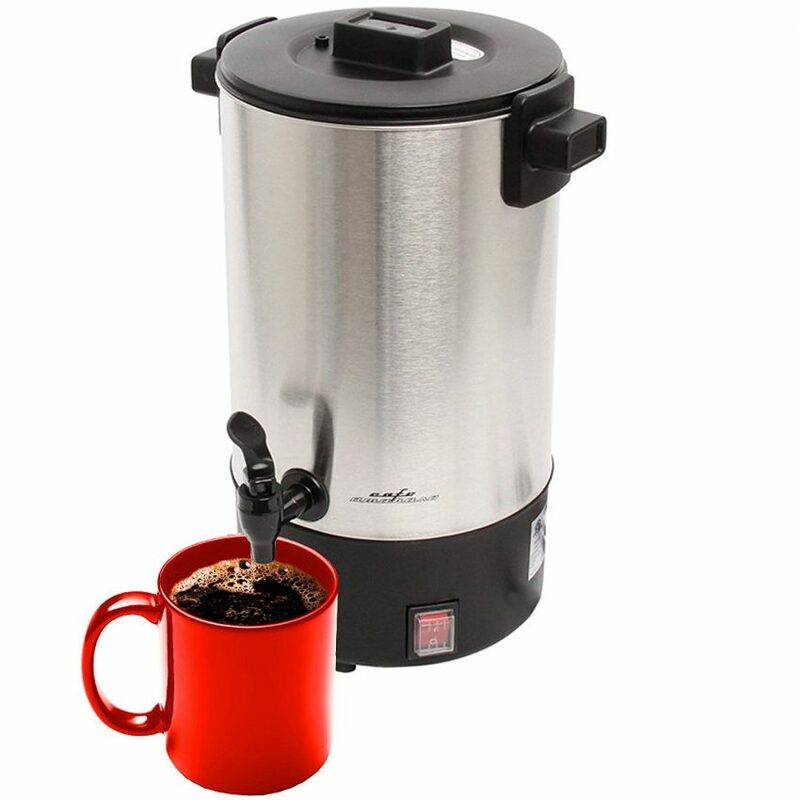 This large stainless coffee urn from Cafe Amoroso brews up to 30 cups of coffee at once and keeps it fresh throughout the day. 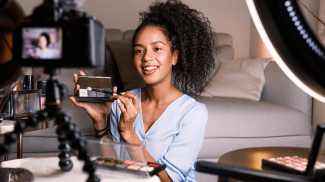 Prices can range from about $40 to $85. 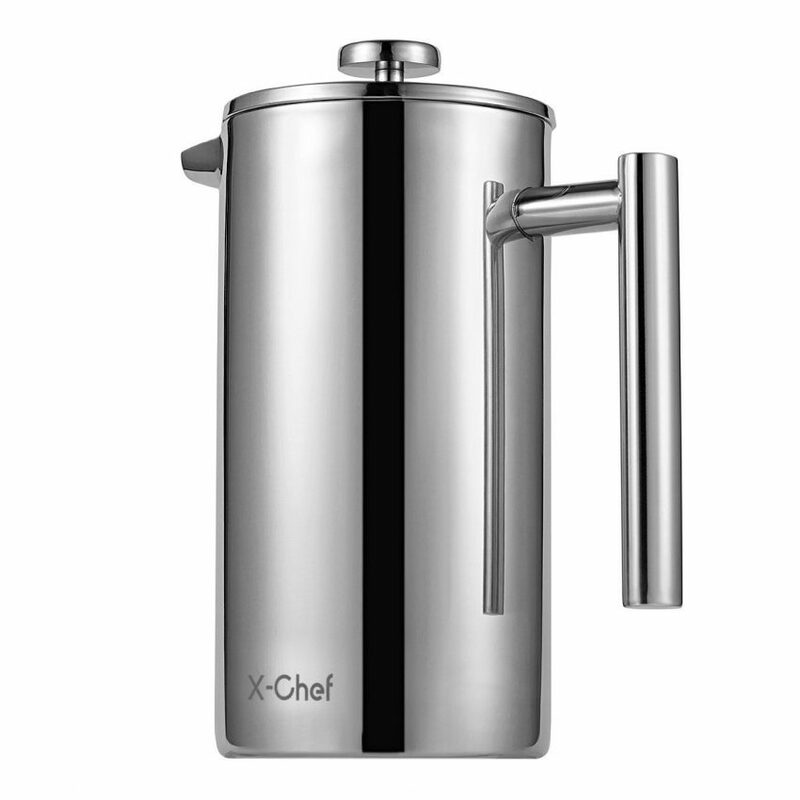 For those teams that enjoy French Press coffee, this thermal carafe can actually be used for coffee, tea or other beverages. The 51 oz carafe ranges in price from about $30 to $50. 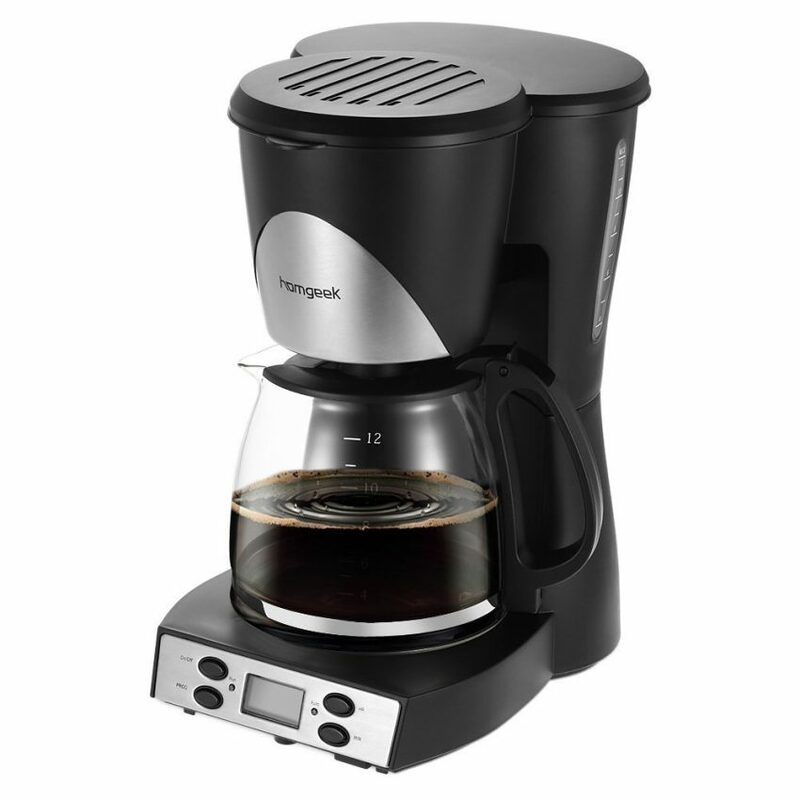 This Westinghouse coffee maker is a fairly standard programmable model with a stainless steel front and 12-cup capacity. Price starts around $30. 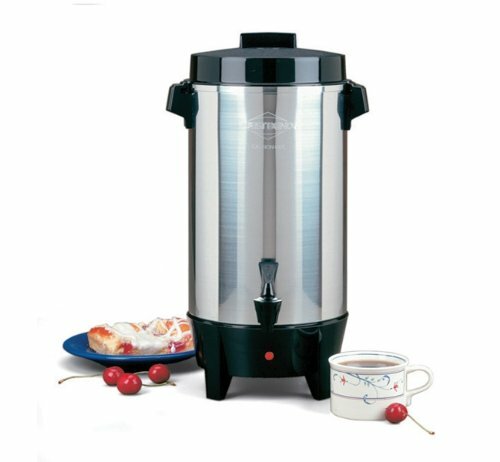 This coffee urn from West Bend comes in several different sizes so you can choose the capacity that’s perfect for your team and keep a large amount of coffee on hand all day. Prices range from about $35 to $105 depending on the size you select. This 14-cup programmable coffee maker from DeLonghi is made with stainless steel and comes with some advanced features like an LED display that lets you know how fresh the coffee is. The device retails for $68.99. 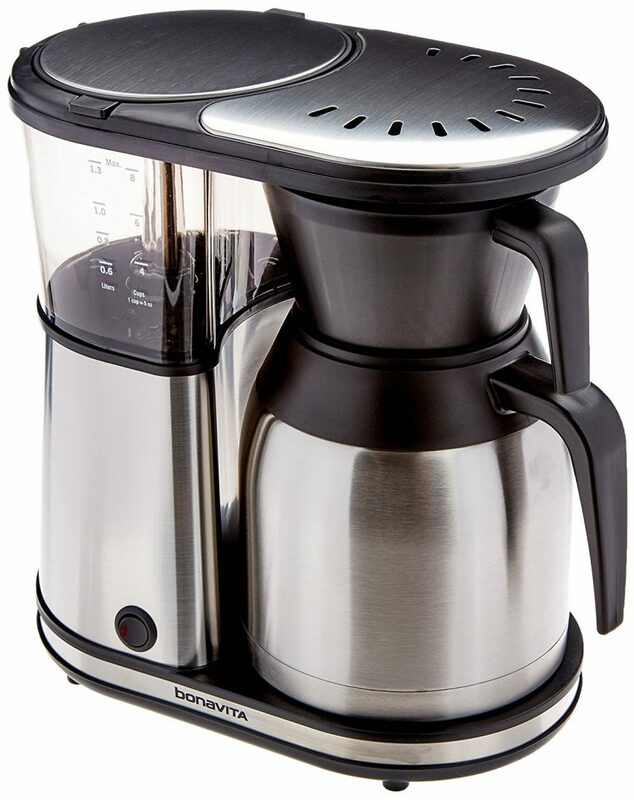 For offices with smaller teams, this carafe coffee maker from Bonavita is made with stainless steel and has some advanced features like auto-off and pre-infusion mode. It retails for just under $125. 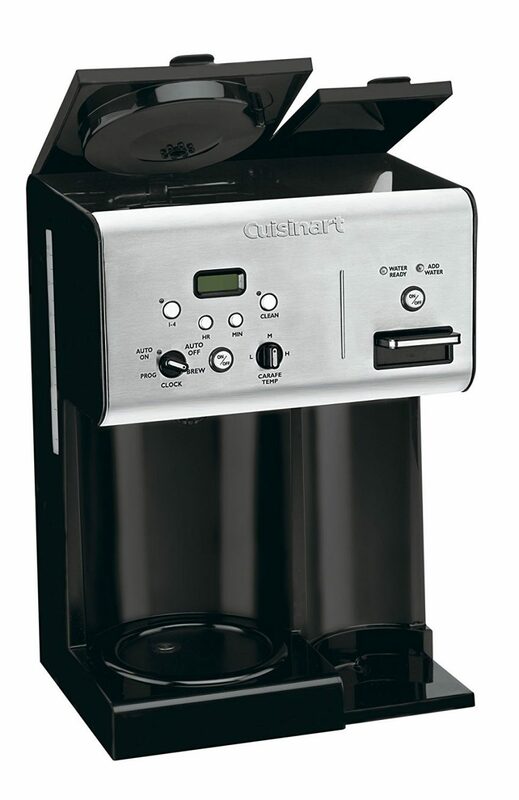 This Cuisinart machine is a coffee maker that also has a hot water system and works with different single-serve pouches so you can make anything from coffee and tea to soups. It retails for about $75. If you have a smaller staff and enjoy the taste of pour over coffee, this pour over coffee maker from Boden might suit your needs. It can brew up to 34 oz at a time and costs just under $20. This 12-cup programmable coffee maker from Homgeek has a timer, digital display and some other advanced features. The product is priced at $23.99. 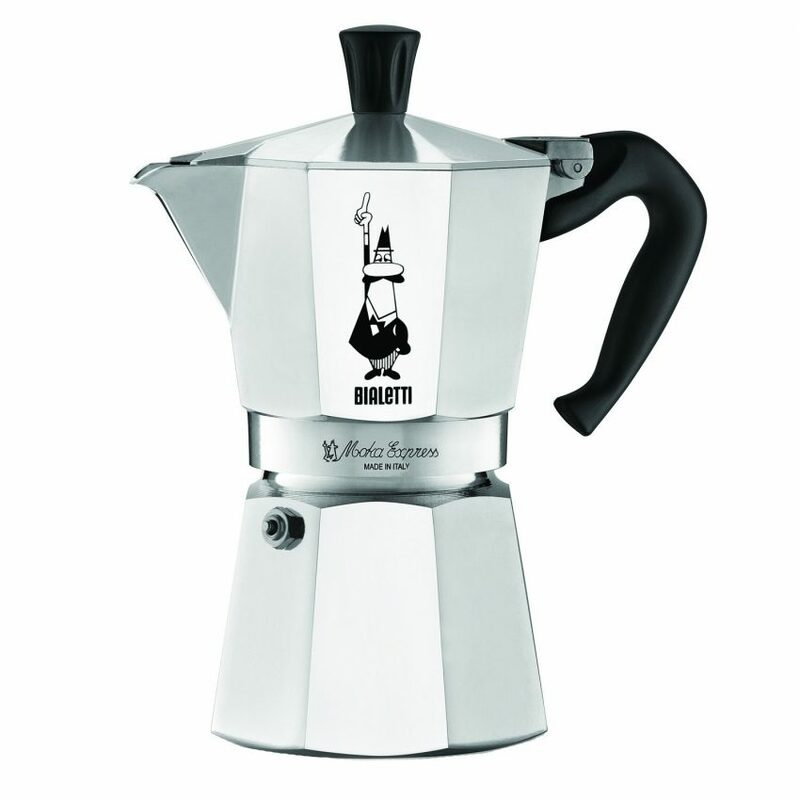 If you and your employees enjoy espresso, this stovetop device from Bialetti is a cost effective and simple solution at just $22.40. 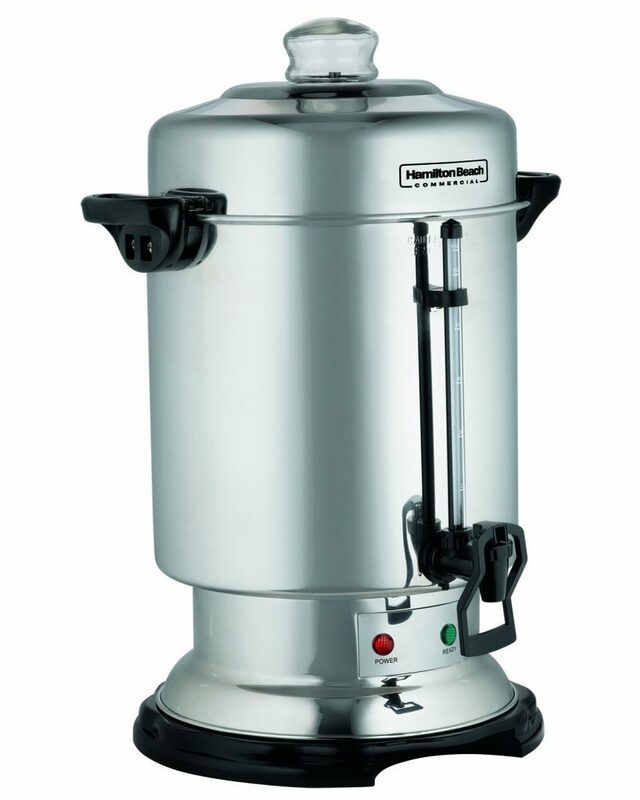 This stainless steel coffee urn from Hamilton Beach is even larger and more sophisticated from some of the others available. 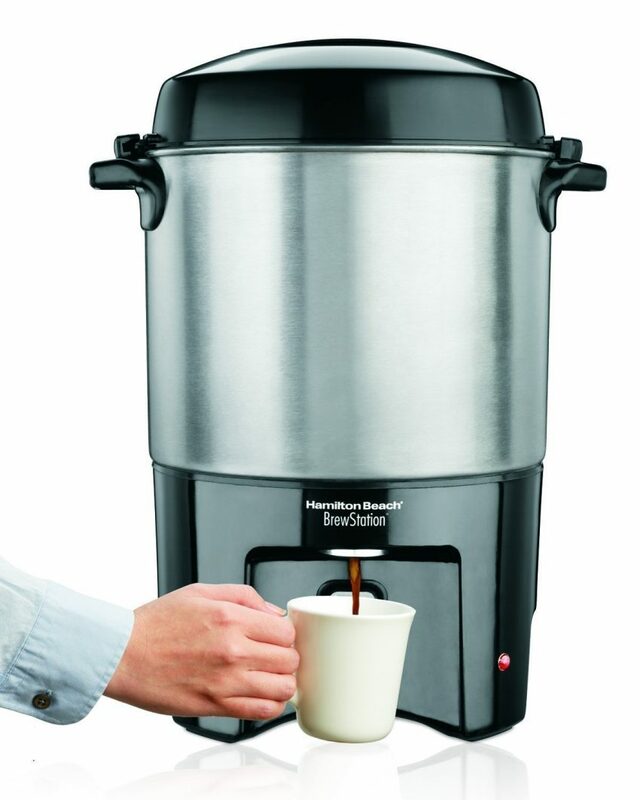 Available from about $75 to $180, the machine brews up to 60 cups of coffee at about a cup a minute. If you have some under-cabinet space in your kitchen, you can opt for something like this Black & Decker under the counter model, starting at $71.95. Hi Annie! I loved this article, it’s really interesting for all coffee lovers! I read your blogs often and you’re always coming out with great stuff. I shared this on my facebook and my followers loved it! Keep up very good work. I don’t drink coffee, but when I buy small appliances I go out of my way to find Hamilton Beach. They are an American small business who manufactures in North America (Canada, U.S. and Mexico). I use my Hamilton Beach toaster oven and crock pot all the time and they last and work well. Wow! All the coffee makers are great designed! i loved them all. Really confused which one should i buy. Gonna check all of them in the shop in vision: D By the way, it’s really a great article.